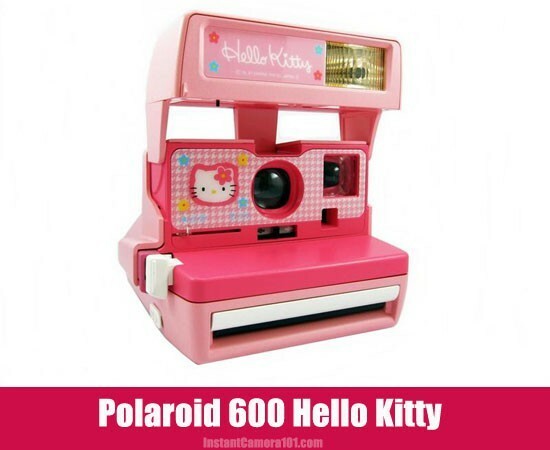 I had to post about this Polaroid 600 Hello Kitty Camera because I think it’s the most beautiful Polaroid camera I have ever seen. A Polaroid Onestep 600 Instant photo cameras are very common and easy to find but this one is a Hello Kitty Limited Edition which is was so rare even when it was launched. Now these 600 series cameras are outdated and forgotten but everyone when someone see this model they love it. These days it’s next to impossible to find a working model of this camera. Even none working are not common unless you accidentally find one from a Yardsale. I checked several auction sites and online stores but couldn’t find anything good. Saw few expired offers but all those offers are $25o to upward. I don’t anyone would want to pay that much for camera which might not work at all. But It’s a beauty and for collector even that price might not be a problem. But for avarage Hello Kitty Fan or if you want a cute instant photo camera then try new Fujifilm Instax Mini Hello Kitty camera. Which you can see on left side Amazon ad. You can get this Fujifilm HelloKitty for around $170 – $200 from Amazon and it’s one of the latest instant film cameras out there. 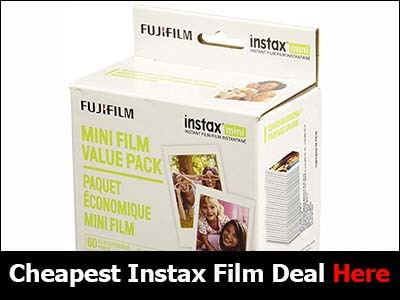 Film cost is also cheaper like $0.50 per photo print for Instax Mini film it uses. Unfortunately it doesn’t looks soo cute like this one but still it’s a practical camera for daily use. I just don’t get why they didn’t make an effort to make it look kawaii like this Polaroid limited edition model. Still that camera is great when it comes to photo prints and also better for your pocket if you consider the price. Polaroid had released quite a few of these Limited Editions which now have become expensive collector items. Their designer those days must be a really talented guy because all those cams are made in bright eye catchy colors to make sure those limited edition cams look apart from general black color OneStep cameras. We call know they don’t make Instant film anymore so you have to look for Alternatives or buy insanely expensive but expired Polaroid film packs which might not work at all. Yes. An expired 600 Film packs cost you around $50 and there is a high chance chemicals are already dried or battery in film pack is long dead. These film packs need to be kept in cold storage and there is a high chance those sellers might have ignore than. Since these sales done with no guarantee for taking returns or giving refunds You will be stuck with unless packs which cost you lots of money. Best and only alternative you have is Impossible project film. You can buy these film from local Impossible Project Agents (If there are in your area), from their official site ( best option if you live outside for USA or have no agents near by), and Amazon (cheapest prices usually with free shipping). Cost is around $25 for 8 photo prints so cost per photo is about $3. 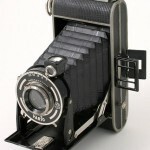 Just order one film pack for test your camera or if you want to find out camera you are going buy is working properly. Not point buy too many packs before making sure the camera is in working condition. For testing make sure to use Impossible Project film, Not those old expired Polaroid film. You don’t want to miss the chance of buying a good camera because expired film pack decide not to work giving wrong impression camera is dead or not in working condition. It happened to me before and lost a good chance to buy a great collectible item for cheap price. Also once you used it for one camera you can’t use it for another. So it will cost you $20-$25 to the test and hope for the camera to work. or just go for Fuji HelloKitty mentioned above. One of the most beautiful cameras I have seen. Never seen this one in ebay or esty for sale. Found few sales pages of already sold out cameras. I guess this kind of camera which is still in working condition can cost $200+. Indeed this camera looks very cute. But I doubt there are many of those out there which still in working condition. Also these Polaroid 600 series cameras use old type 600 film which only Impossible Project guys make. Photo quality totally bad. Still it’s a nice camera for collector. If someone wants a camera which works and use cheaper film then better go for Fuji Instax Mini Hello Kitty Camera. It’s lot cheaper and totally worth long run, Also it’s cute too. Doubt there are many 600 cameras still working? HA! They all do from my experience, theyre pretty rugged.